Virgin Voyages’ VP of Sales and Business Development is encouraging all agents to register for FirstMates.com, the cruise line’s new dedicated online platform for travel agents. Virgin Voyages officially opened registration for travel agents in Canada, the U.S. and the U.K. on FirstMates.com earlier this month. 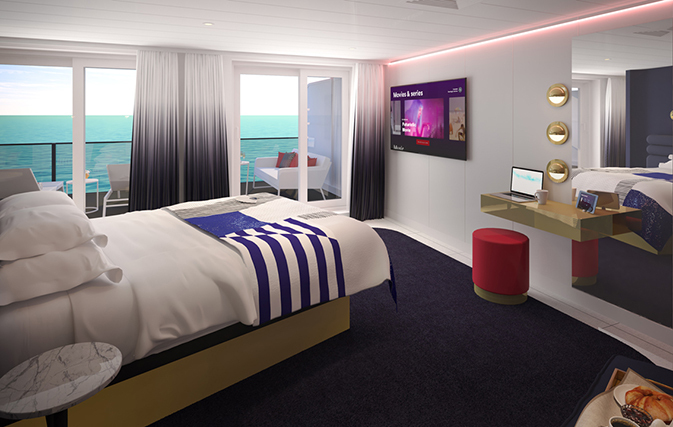 And just today Virgin Voyages released images of its new upper-tier suite category accommodation. 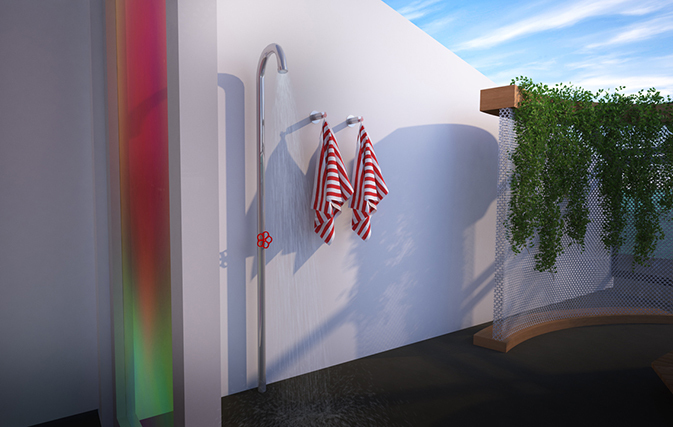 The 78 RockStar Suites include 15 Mega RockStar Suites, named the Massive, Fab, Posh and Gorgeous Suites. Last November Virgin also offered a sneak peek at its dining venues. Scarlet Lady is scheduled to set sail in 2020. 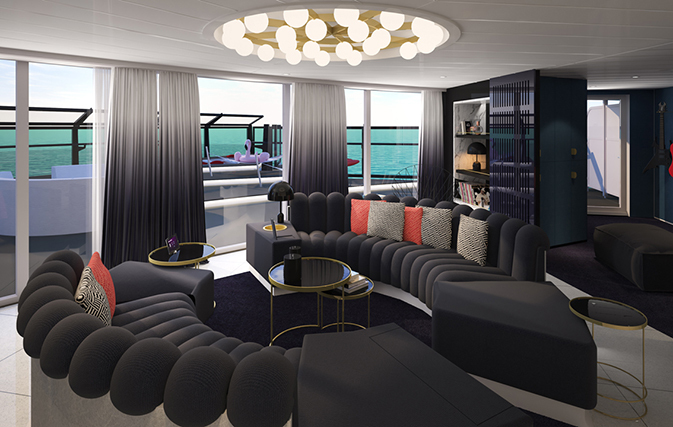 The company’s second ship will sail from Miami during the fall/winter cruise season of 2021/22 and Virgin Voyages has already put in orders for a third and fourth ship. 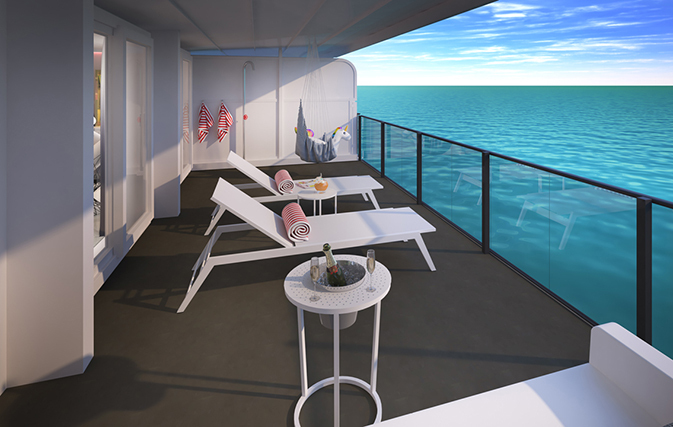 The FirstMates.com agent platform, which was first reported by Travelweek last August in an exclusive interview with CEO Tom McAlpin, allows agents – or ‘First Mates’ as the cruise line prefers to call them – to learn, engage and do business with Virgin Voyages. Starting Feb. 5, FirstMates.com will offer all of the tools needed for First Mates to become immersed in everything the new cruise line has to offer, including downloadable digital and in-store marketing materials, interactive learning materials and more. 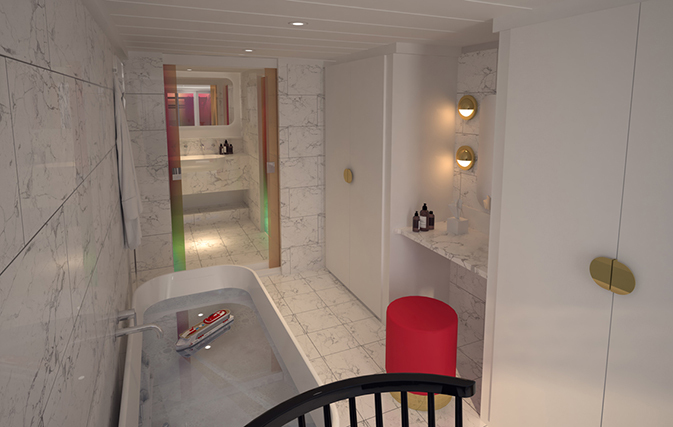 On Feb. 6, Virgin Voyages will kick off ‘Cabin Fever’, an immersive learning campaign that highlights the cabins and suites of the company’s first ship, Scarlet Lady, prior to going on sale. 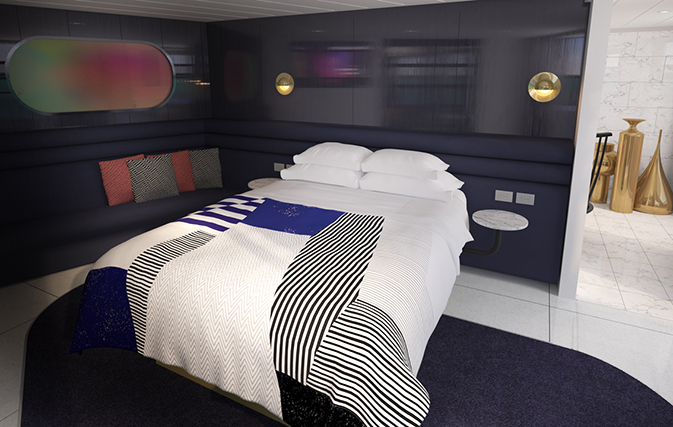 First Mates will be able to make bookings for the cruise line’s highly anticipated 2020 inaugural season through FirstMates.com as of Feb. 14, 2019, and can contact the company’s Sailor Services team from Feb. 5 if they have clients holding pre-sale deposits. Moreover, all First Mates registered to do business with Virgin Voyages before the on sale date of Feb. 14 will get the chance to enter to win tea with Sir Richard Branson, founder of the Virgin Group. Agents must opt-into the sweepstakes by 11:59 EST on Feb. 13 to be eligible. 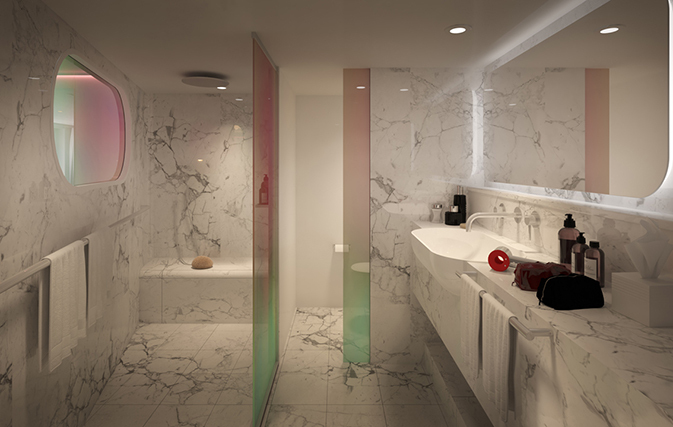 Virgin Voyages’ Rebellious Luxe experience will be Adult-by-Design, a “sanctuary at sea” curated for the 18+ traveller. Onboard, guests will experience Virgin’s world famous rock star service, made-to-order dining, a no nickel-and-diming policy, an inclusive pricing model and more.